A Summer School that Exercises Body & Mind! Positively MAD and In2action have come together to create a summer school like no other - the biggest problem you'll have is getting the kids to leave!! In March 2013 the government announced a £50 million pupil premium summer school programme to help the most disadvantaged pupils make the transition from primary to secondary school. All Year 6 pupils eligible for free school meals attract the funding and last summer huge numbers of schools took full advantage of this to provide the best possible, most supportive transition environment for their newest, most vulnerable children. Positively MAD and In2action were proud to be involved and this year they have teamed up to offer a superb, all-round, holistic approach to nurturing both body and mind ensuring peak performance and increased confidence when it matters most. Positively MAD is one of the UK's most successful learning-to-learn companies helping over two million students nationwide since their inception in 2000. Their aim is simple; to inspire children and young people in education, to generate enthusiasm for their learning and to equip them with techniques to make their learning faster, easier, more enjoyable and, most importantly, more effective. In2action is the UK's leading provider of activity and childcare sessions. They work with over 300,000 children every year in over 30 different countries, delivering outstanding activities, creating memories that last a lifetime. These two exceptional companies have come together to offer an incredible summer school tailored to fit your requirements precisely. 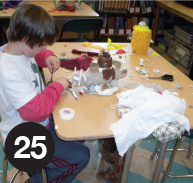 Inspire and delight your students with the power and effectiveness of creative teaching ideas. They’ll be shown how to remember things more easily by using their imaginations and will be taught a range of learning to learn techniques that can be used right across the curriculum both in class and for homework. In a fun-filled session students get to try out all of the techniques and will be amazed at their own abilities to remember a huge range of facts encouraging self-belief and raising self-esteem. Mind Mapping is a skill that, once mastered, can be applied to all subjects. Mind Maps are a superb way to boost imagination and creativity and are a fantastic tool to enhance learning and recall, to boost creativity, to plan effectively and to be a note-taker extraordinaire! The Mind Mapping workshop comprises: reading for keywords, learning to encapsulate, branching ideas, planning, creating, using symbols and pictures, using colour and shaping a Mind Map. Students get a chance to explore the idea of drawing to aid their memory using symbols and marks on paper. The Mindwise workshops are a superb way to inspire young students, to boost their self-esteem and to raise their aspirations. Tackling many of the common problem areas in literacy, maths and factual recall in science, these workshops offer simple, easy-to-remember tools and techniques to raise understanding and achievement levels. Spelling Workshop:	to generate enthusiasm for Spelling by showing students creative and interesting Spelling approaches. Mental Maths Workshop: to empower students with effective techniques and refreshing approaches to remembering mental Maths facts and strategies. Science Workshop: to empower students with effective techniques and refreshing approaches to remembering Science facts linked to the topic Life Processes and Living Things. The Goal Mapping workshop creates a vision for future success and installs a positive attitude leading to improved behaviour. It provides skills for lifelong success and effective tools to create positive solutions. Unleash your students' full potential! Catch up with LITERACY is specifically for Year 7 students who have not achieved level 4. The course can be booked any time during Year 7 – or indeed as part of a transition summer school - for groups of up to 30 students in a classroom or venue of your choice. Importantly, funding is available for this programme through the 'Year 7 Catch Up Premium'. Catch up with NUMERACY is specifically for Year 7 students who have not achieved level 4. The workshop can be booked any time during Year 7 – or indeed as a summer school transition course - for groups of up to 30 students in a classroom or venue of your choice. Importantly funding for this programme is available through the 'Year 7 Catch Up Premium'. A fabulous way to learn how to navigate around the school following a series of clues and codes to guide them on their way, collecting items as they go. Once the treasure hunt is complete the students will use their creative skills to make what they can with the items they have collected along the way. A great way to gain familiarity with the school layout whilst getting to know each other in a fun and productive way. This fun and fabulous workshop encourages and builds enterprise skills helping students to identify their strengths and to 'sell themselves' in a positive way. In a manner spookily like 'The Apprentice' students will work in teams to a commercial brief. They will use their creative skills to design and develop an advertising poster and presentation hoping to make their product the most saleable. They must select a team leader who will delegate responsibility to his/her team members encouraging both leadership and team building skills. 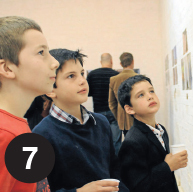 A judging panel will fire at will and select one 'Summer School Apprentice'. 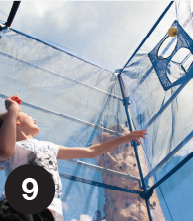 Combining trampolining, basketball and volleyball, this activity is totally unique! Bouncing and stopping, and using passing, shooting and blocking skills, children must try to score as many goals as possible past their opponent. This high-energy sport is great for fitness and skill development, and requires tactical thinking, good communication and a great aim for goal. 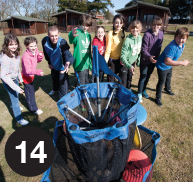 **This is only viable for longer summer schools, as it takes ½ day to set up and ½ day to pack down. Our instructors will teach the basics of this very popular activity and will encourage children to develop their technique and show awareness of all safety measures. This activity is a great opportunity for children to develop dexterity, control and precision and have a go at being Robin Hood for the day! Longbow archery and professional safe archery kit available. 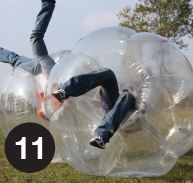 Body Zorbing allows you to run, walk, jump, flip, back roll and bounce into other body zorbs, and participants will play a variety of team games such as Sumo, Body Zorb Football and Last Man Standing. It is hugely entertaining for everyone, a great way to get active and is challenging physical fun. An exciting and challenging activity on our 7 metre outdoor climbing wall. 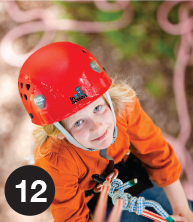 All safety equipment is supplied and our qualified instructors help develop co-ordination, stamina and determination, whilst learning basic climbing skills and techniques. Once the basics are mastered fun challenges and games take place including blindfolded climbs and racing climbs against their friends. **Climbing wall requires 10m x 10m flat area and is driven in on a trailer, so requires access. Children will develop co-ordination, concentration and self-awareness whilst having great fun learning to juggle, spin plates and do tricks on the Diablo and flower sticks. This exciting game uses skill, co-ordination and accuracy to launch specially designed Frisbees into targets as you navigate our centre's disc golf course in the minimum amount of shots possible. 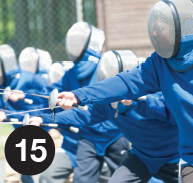 Children learn the basic principles of attack and defence, including the en-garde stance and the lunge. Once they've mastered the basics, they can prepare to outwit their opponent in a test of skill and fast reactions. This activity combines strength, balance & control - as well as tactical awareness. Participants get the chance to create and star in their very own feature film using the latest Go Pro Technology and then watch the finished product. An excellent, creative, teamwork exercise. Promoting fitness through dance, groups will learn a street dance routine which they will perform to a high energy tune in front of the whole group. 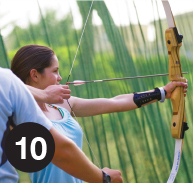 This large team event involves the whole group in a collection of multi-skilled events. Children can experience the buzz of being an Olympian as they try their hand at track and field events, as well as team games, all delivered in a unique and exciting way. Also known as Omnikin, this incredible fast-paced sport was created in Canada and promotes co-operation and sportsmanship. 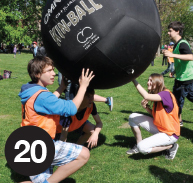 Three teams compete in this game with the aim of serving the 1.22m ball in such a way that the receiving team will not be able to catch the ball before it touches the ground. 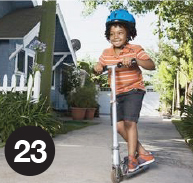 Kick Scooters are extremely popular with children of all ages, whether it's just cruising around or attempting cool tricks. Our Scooterz session allows participants to learn new skills and basic tricks whilst playing exciting and challenging games. Traditional games including basketball, Unihoc, 5-a-side football and volleyball can be played to develop skill and teamwork. Party leaders can choose from a range of projects including Construction Challenge, The Great Egg Drop, Aviator and Rocket Launch. Teams compete in fun-based challenges to win scrap to use in the production of their chosen project, and put their creations to the test against other groups. 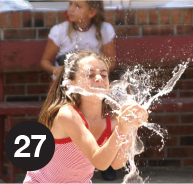 Water Wars is an exciting land-based activity involving various water games. 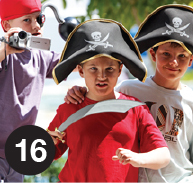 Children will be split into teams to compete in and play different games involving races, ball games and the ultimate gauntlet. The session finale involves them working together in their teams to build a shelter and defend their territory in a 'Capture the Flag' competition! 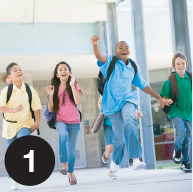 The element of friendly competition will develop childrens' self-confidence and teamwork. 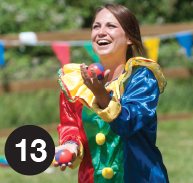 Safe, fun and incredibly entertaining, our It's a Knockout event incorporates a wide range of wild and wacky games. 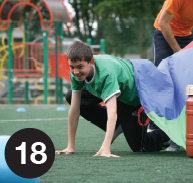 All our games are designed to challenge a team's range of skills through a series of physical and mental tasks, and testing the team’s ability to work as a unit and face the challenge. 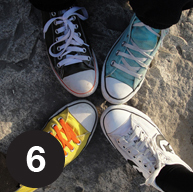 This is a top-secret mission involving a range of activities which will test participants' skills. Spy skills such as forensics, communication and surveillance will be used as participants attempt to complete their assignment.